The defrost heater in your GE refrigerator model GTS19ZCMBB is a component of your appliance’s defrost system. During a defrost cycle, the heater melts ice off your refrigerator’s evaporator coils. If the part burns out, the evaporator coil will frost over causing the temperature in your freezer and fresh food compartment to rise. To swap out a faulty defrost heater for a new one, follow the repair guide provided below. Before starting a repair, unplug your appliance to avoid electrocution. Always wear protective gear, such as safety goggles and work gloves. Open your freezer door and take out the ice bucket. Remove the two screws at the bottom of the freezer air duct, which is located on the compartment’s rear wall. Slide the air duct up to disengage the locking tabs and take the part out of your freezer. Beneath the air duct, there is a foam duct, gently lift it up and out of your appliance. With a Phillips screwdriver, unthread the screws securing the ice maker to the freezer. Once the screws are out, open the locking tabs on the sides of the ice maker’s power plug and disconnect the plug. Carefully grab the evaporator fan blade and pull it off the motor shaft. Take out the screws securing the freezer’s back panel and pull the panel out of your appliance. Using needle nose pliers, grab the locking tabs on the ends of the defrost heater and pull the tabs down to unlock them. Next, remove the defrost strap and the mounting bracket, which are both located in the middle of the heater. Then, pull down the defrost heater and disconnect the wires from both ends of the component. Now you can remove the faulty heater from your freezer. It’s time to install the new defrost heater. Start by reconnecting the wires and inserting the heater onto its mounting brackets. With your needle nose pliers, close the locking tabs to secure the heater. In the middle of the defrost heater, reattach the defrost strap and the mounting bracket. Put the rear panel back on, and reinstall the screws. Then, reattach the ice maker, and plug it in. Slide the evaporator fan blade onto the motor shaft. Use your finger to rotate the blade to ensure it is spinning freely. Reinsert the foam duct and the air duct vent. Finally, put the ice bucket back in and close the freezer door. 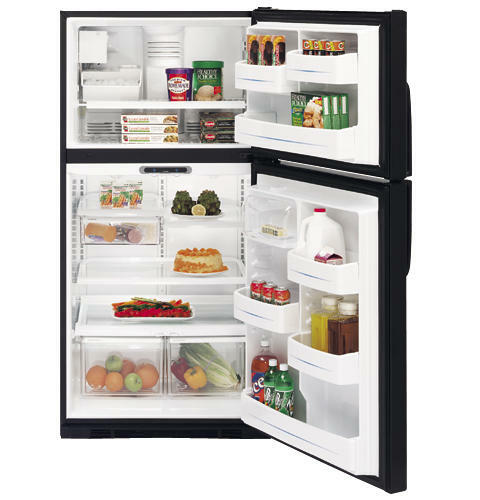 Plug-in your refrigerator and keep an eye on the appliance’s temperature to ensure the repair fixed the problem. If your refrigerator is still struggling to maintain a consistent temperature, please contact us today and we’ll be happy to assist you.